This Irish pub has a main salon, a polo bar, patio, a front terrace and a Billiard's room. They all have its unique memorabilia and can be rented during the week for special events. Hennessy's is not a chain and the two Irish owners are always on hand to give you a real Irish welcome and add to the personal experience of good service. The menu has all the classic Irish favourites like fish and chips and shepherd's pie. They also like to take it a little further with dishes such as the lamb pizza! 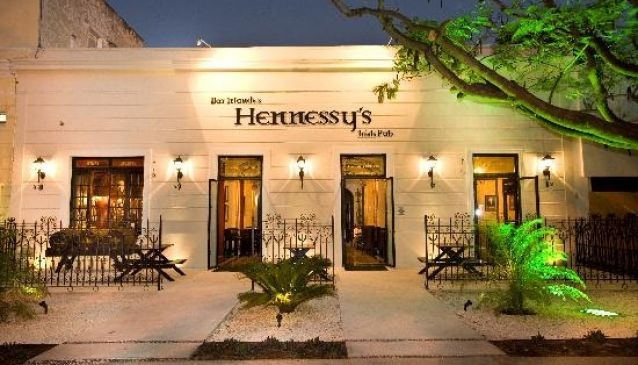 Hennessy's is a popular expat hangout with a fun atmosphere and it is a great place to go with your family or a business client.